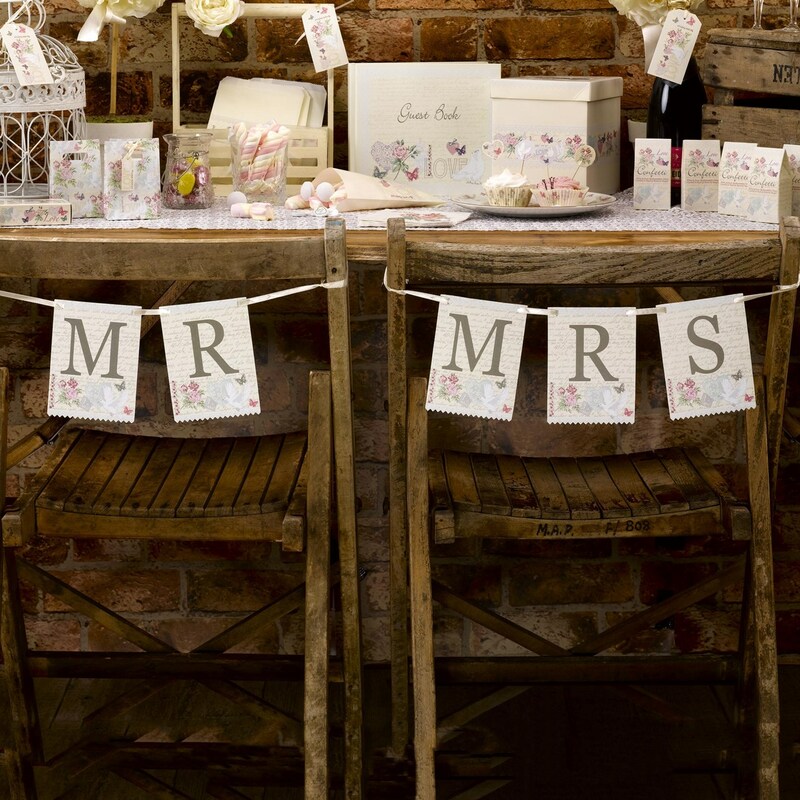 Make a statement on your top table with this fun "Mr & Mrs" chair bunting, part of the "With Love" wedding collection. Comprising of 6 rectangular flags, this bunting is suitable for most styles of chair and looks particularly pretty when co-ordinated with other table decorations in the range. Featuring vintage-style typeface and pretty illustrations of doves, butterflies, hearts and flowers, this bunting is a simple way to give the bride and groom’s chairs a special touch.